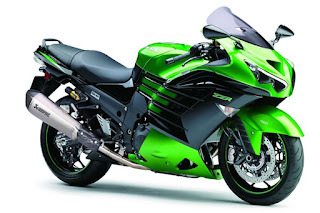 KAWASAKI has just revealed upgrades for 2016 to the ZZR1400 including a new instrument cluster, while the 'Performance Sport' edition gets Brembo monobloc brake calipers. Tweaked ECU settings mean the hyper-tourer now meets new European emission limits with no drop in its claimed 200hp, according to Kawasaki. The ZZR1400 came out at number one in our recent top 10 most powerful bikes of 2015, with an independently measured 207.9hp. Kawasaki revealed the upgrades moments ago in a press release which said: 'Euro4 compliant, no power compromise, whilst Performance Sport model gets high-end Brembo brakes. Globally renowned as the reference machine for high mileage performance motorcycling, the ZZR1400 and ZZR1400 Performance Sport models have been refined even further, via a host of engine and chassis modifications. Key to the ZZR1400 legend is its class leading power and torque characteristics, giving the machine wide versatility, from relaxed everyday riding to hypersport thrills. Utilising new settings in the ECU and a revised evaporative and exhaust system, the bike meets the latest Euro4 emission regulations without any drop in the power figures of this 1,441cc machine – 200PS. Ensuring the fast rising speed and rpm readings stay in focus, a new instrument cluster features high-visibility dials and LCD displays using a dot-pattern background, plus black/white interchangeable displays for easy reading in both day and night time. The already high-spec Performance Sport model receives further upgrades which would not look out of place on the World Superbike winning Ninja ZX-10R. Most obvious are the new Brembo M50 monobloc brake calipers, which combined with a Brembo radial-pump master cylinder and stainless steel brake lines, supply ultimate stopping power. The model also features an Öhlins TTX39 rear shock absorber with settings unique to the ZZR1400, plus Akrapovic silencers; a partnership forged from Kawasaki’s all-conquering World Superbike effort.